The Line 6 Relay G30 Wireless Guitar System delivers professional wireless transmission and tone for stage performances and recording. The G30 features the TBP06 transmitter and RXS06 receiver. 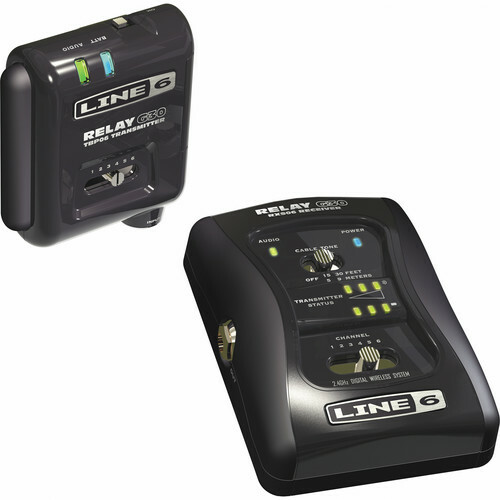 Line 6's VWT™ Digital Technology eliminates extraneous RF interference, delivering pure guitar tone without noise and interference from radio frequencies, PDA's and other digital devices. Box Dimensions (LxWxH) 12.0 x 10.0 x 3.0"